I was born in Luhansk (Ukraine) on the 28th of April in 1959. In childhood I wanted to be a cosmonaut as all boys. Then in school I understood that I want to paint and be an artist. Many people said that it was not a good profession. First I finished Art School in Luhansk. Painting was labour of love. 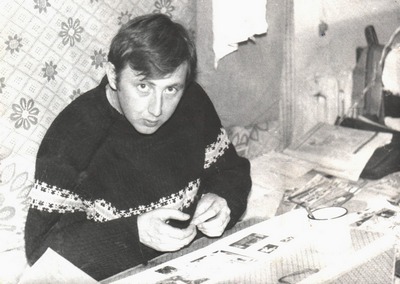 In 1978 I graduated from Art College in Luhansk. After this I decided to enter Art Institute in Kharkov by speciality – monumental and decorative art. It was the great student years. I was fond of my teacher Shapovalov V. and even now I grateful him for his expertise, skills and knowledge of life. In 1989 I graduated from Art Institute in Kharkov with Diploma of B.A. in monumental and decorative art. 1996 – Exhibition in a private gallery in Kharkov. Creativity doesn’t have scopes. So, I tried to show my works to international art critics on different international exhibits. 2000 – Participation in the 5th International Art Festival in Kyiv, Ukraine. 2003 – Participation in the National Exhibition of Decorative and Folk Art. 2004 – Personal exhibition in «Sea gallery» Odessa, Ukraine. 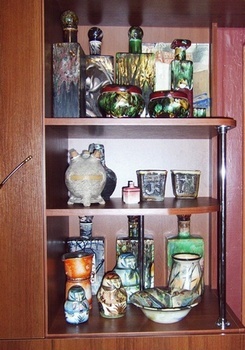 2005 – Personal exhibition of painting and ceramics in "Gallery of arts" Luhansk, Ukraine. 2005 – The participant of an exhibition of the Ukrainian artists in Germany, Essen. 2005 – The participant The International Festival of Postmodern Ceramics " Ceramica Multiplex " 2005 in Croatia, Varazdin. 2005 – The participant The International Chawan EXPO.2005 in Belgium. Antwerp. 2005 – participation in 2-nd international Art Forum "Gallery ADI-ART" Poland Lodz. 2006 – participation in the international open-airs "Gallery ADI-ART" Poland, Lodz. 2006 – participation exhibition in the Skagen Torvehal "Gallery ADI-ART" Denmark, Skagen. 2006 – Personal exhibition in "Gallery ADI-ART" Poland Lodz. My works are in private collections in Japan, Germany, USA, Poland, Belgium, Denmark and Ukraine. 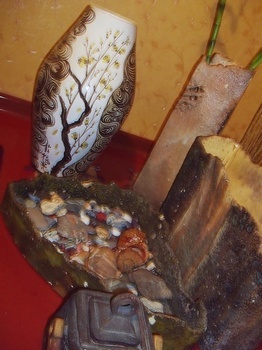 It’s a good variant to decorate office, hall, sitting room or bedroom. You can also become the owner of exclusive art work!